Since childhood, I’ve been most interested in the study of art and history, with a special love for meticulous details, precision and perfecting my craft. I suppose that’s why orthodontics was the perfect fit for me. My passion began at age eight when I worked at my father’s (Dr. Henry Zaytoun, Sr.) orthodontic practice. From that moment on, I knew that being an orthodontist was my destiny. I’ve never even had another job and, luckily for me, orthodontics became my chosen career; and I’ve worked in it ever since. When college approached, I chose to study history, specifically art history, and then proceeded to move on to dental school- intertwining my art background with learning how to properly move teeth and shape smiles. During my studies, I continued to work with my father and began to grow an appreciation for human physiology and developed an understanding that no two faces are ever the same. I acquired a talent that would allow me to do something unique with every patient. I was able to link this connection into my studies as a dental student and then later into my career. From the beginning of my career, I have strived to deliver the best care, with a pure heart and a passionate demeanor, for everyone who walks through the Zaytoun Orthodontics doors. I want everyone feeling their best and, of course, leave our time together with a result that is functional as well as beautiful and a smile that will last a lifetime. Zaytoun Orthodontics has deep roots; we have completed care for over 25,000 patients. I have had the pleasure and fortune of being a part of this amazing history, and have witnessed Zaytoun transform into the practice that it is today. 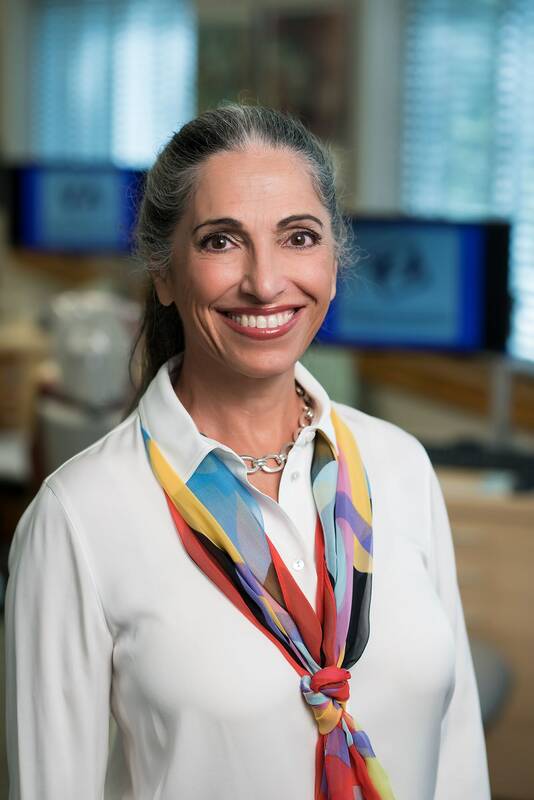 Without holding pride in things that are built and designed well, my passion would not have extended into my 30+ year career as the first female orthodontist in the state of North Carolina. Master of Science degree in Orthodontics from the University of Iowa. Orthodontics has always been more of an art than a science to me. Working with a patient is like sculpting clay- I have to visualize, plan, and then execute how the teeth should properly support the face and lips.